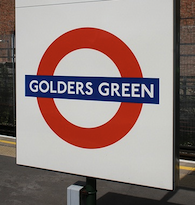 The Finchley and Golders Green constituency can be found in north London and is within the borough of Barnet. The current constituency boundaries join part of the former Hendon South constituency. Finchley is best known for its former MP, Margaret Thatcher. She was the UK's first female Prime Minister, breaking a string of records including three general election victories and the lengthiest premiership of the 20th century. However, in 1997, the constituency could not resist the huge pro-Labour swing in outer London and returned Labour candidate Rudi Vis as its member. The seat has a large Jewish community, and is also home to a growing number of ethnic communities, including Cypriot and Indian people. There is also a significant Irish community in the western part of the seat in Cricklewood. Only 9.8% of homes are council-rented, unemployment is below the national average, and over 75% of the workforce are in non-manual occupations - and a great many of those earn above average pay. At a local level, party support is evenly split down ward lines. Of the seven wards within this seat the Conservatives hold Finchley Church End, Garden Suburb, Golders Green and two of the three seats within Childs Hill Ward. The Labour support being stronger in East Finchley, West Finchley and Woodhouse.